Throughout my research about the Irish in Greenwich Village, authors and researchers have emphasized the importance of religion to the Irish immigrants and Irish-American community who lived in the neighborhood during the mid-19th and early 20th centuries. St. Joseph’s Church served the Roman Catholic Irish community, standing at the center of both the religion and culture of these Village residents. What I was surprised to learn was the influence St. Joseph’s had not only over its congregation but over the Archdiocese of New York. And more interestingly, how the side of St. Joseph’s growing congregation led to the creation of five other Roman Catholic churches in the Village to serve the neighborhoods Catholic residents. St. Alphonsus, St. Ann’s, St. Francis Xavier’s, St. Bernard’s, and St. Veronica’s were all founded within the original boundaries of St. Joseph’s to accommodate the growing Catholic population of the Village. St. Joseph’s was founded in 1829 and was referred to as the “Mother Church of the Catholics in Greenwich Village.” When the church was dedicated in 1834 the parish boundaries included the West Side of Manhattan from Canal Street to 34th Street. St. Alphonsus was the first of the new parishes, located on Thompson Street, about a mile south of St. Joseph’s. It was founded in 1847 to serve a growing German Catholic community in the neighborhood but soon attracted Irish Catholic parishioners who lived nearby creating tensions between the two immigrant groups. But by the beginning of the 20th century the parish was predominantly Irish and tensions had dwindled. St. Francis Xavier’s and St. Ann’s were both founded in the 1850s, St. Ann’s in 1852 on the eastern boundary of St. Joseph’s, and St. Francis Xavier’s in 1850 in the northern part of St. Joseph’s parish. St. Ann’s, located on E. 12th Street between 3rd and 4th Avenues, served the wealthy Catholics of the Village and surrounding areas. But in the 1890s the parish was nearly $93,000 in debt and much of its attraction ebbed. 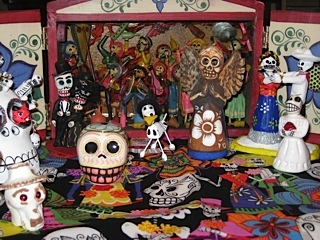 St. Francis Xavier’s, however, became the first real threat for the pastors of St. Joseph’s. It was the first permanent Jesuit parish in the Archdiocese of New York. From St. Francis Xavier’s inception, Archbishop John Hughes received complaints from St. Joseph’s and other churches that the Jesuits were stealing their parishioners. St. Joseph’s pastors continued to complain to the Archdiocese for over 40 years about the number of their parishioners who were regularly attending mass at St. Francis Xavier’s. St. Bernard’s, the fourth of the parishes carved from St. Joseph’s original boundaries, was the least threatening. 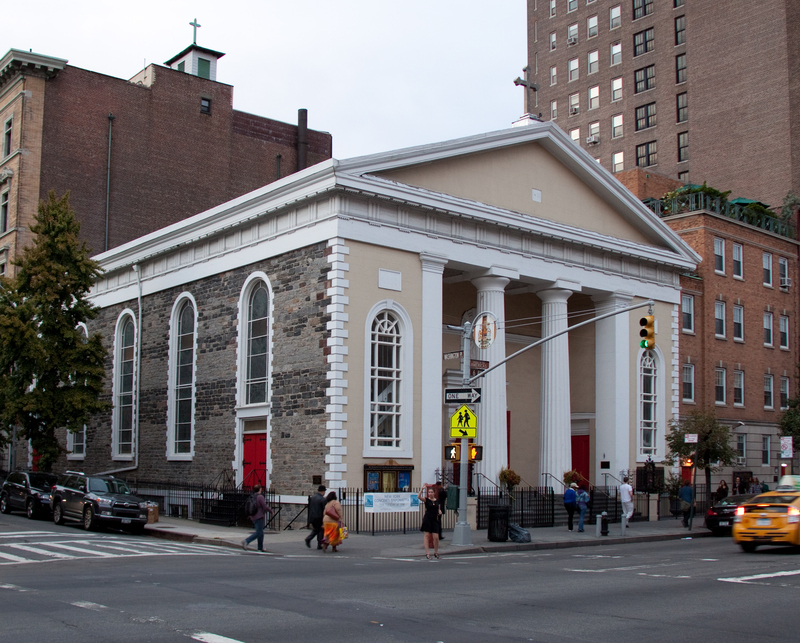 Located on W. 14th Street near 9th Ave., this new parish founded in 1868 was far enough away that it didn’t steal enough of St. Joseph’s parishioner’s to raise alarm. However, that wasn’t the case with St. Veronica’s. The last of the parishes carved from St. Joseph’s boundaries, St. Veronica’s was officially dedicated in 1903 after thirteen years of construction. When Father John Salter of St. Joseph’s first heard the Archdiocese planned to create a new parish in its western boundary, encompassing nearly 30 blocks, he launched a complaint with the Archbishop claiming there weren’t enough Catholics along the waterfront to support another church. The Archdiocese, however, knew that the proposed parish was more than capable of supporting a large congregation. They answered Salter’s complaint by proposing the boundaries of St. Veronica’s be broaden, which promptly stopped the pastor’s objections. 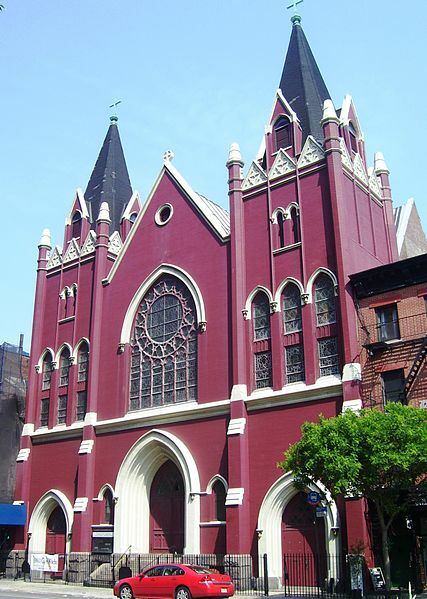 St. Veronica’s served a poor waterfront neighborhood in the West Village, worshipping from a warehouse and stable until the basement of the present church on Christopher Street was completed in 1890. The church wouldn’t be dedicated until June 1903 was St. Veronica’s was completed. While St. Joseph’s Church remained the “Mother Church of the Catholics in Greenwich Village” and continued to serve a predominantly Irish congregation, the five daughter parishes that were born within St. Joseph’s boundaries helped shape the culture and history of not only the Irish but all Catholics in the Village.